In an era where helicopter parents have become the acceptable norm, free range parents are often looked up with judgement. Some are made to feel as if they’re raising feral children, some are approached by law enforcement, and some are simply shamed on the internet (because, after all, the world wide web is where everyone goes to tattle). But, is free range parenting deserving of its reputation? Or could it be that it comes with pros and cons? Ya know, like pretty much everything else in life. 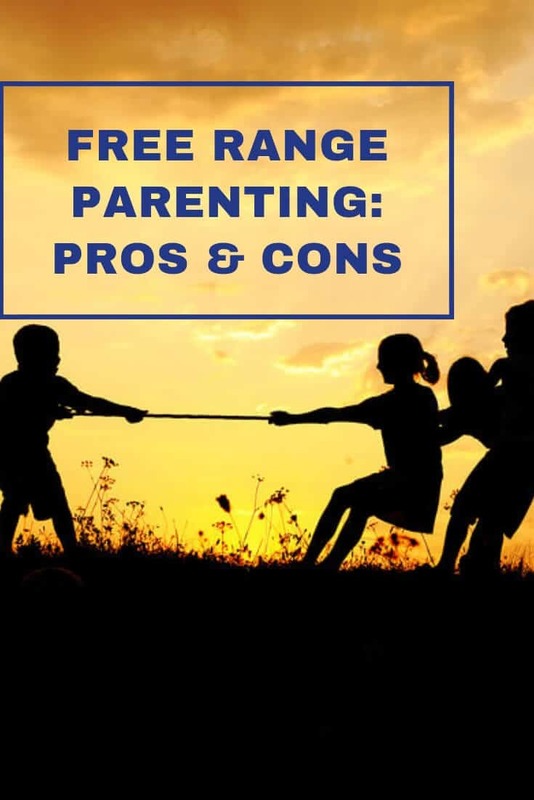 Before we dive into the benefits and drawbacks, let’s look at what free range parenting truly entails. Free range parenting essentially encourages kids to go back a few generations to a childhood where climbing fences, exploring creeks, and playing on playgrounds made of rock, stone, and wood was encouraged. Free range parents, it can be argued, lets kids be kids, even if that involves more scrapes and scratches and broken arms from tree house falls. This isn’t to say that it can’t go too far: if you have no idea where your six-year-old is, you have a problem. But, can it work in moderation? It depends on who you ask. Building independence and confidence: Among the ultimate goals of parenthood is raising a child to grow up self-sufficient – very few moms and dads want their forty-year-old son living in their basement. Risk-taking, in the form of climbing up on monkey bars or even making a bowl of cereal, helps foster this autonomy. Keeping children too shielded only does the opposite. Learning from mistakes: Free range parenting gives children the chance to learn from their errors, a necessity of life. A child who falls off their bike while popping a wheelie learns to be more careful in the future. That’s the thing about mistakes: kids can’t learn from them if they’re not allowed to make them. Improving social skills: In an age where technology rules the world, it’s easy to forget social skills – we communicate with each other through LOLs and social media likes. But social skills are of vital importance and free-range parenting helps cultivate them. Without mom and dad around, kids must learn to handle conflict and relationships on their own, a valuable lesson they’ll take with them into adulthood. Giving parents a break: Of course, free range parenting can also benefit parents by giving them space from their children (if you don’t think this is necessary, you don’t have children yet). A free range parent encourages their child to go outside and play rather than stay indoors watching TV (where it’s safe). This helps parents learn that kids are more adaptable and self-reliant than they’re given credit for. It also encourages kids to be active in a generation where obesity rates are skyrocketing. 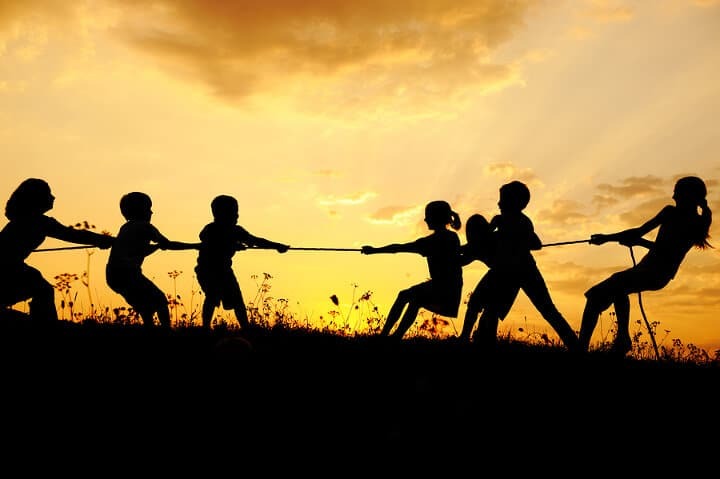 Legal ramifications: While they are few and far between, there are reports of parents getting in trouble with the law because they allowed their eight-year-old to play on a playground alone or their nine-year-old to walk home unaccompanied. These laws are designed to protect children from actual neglect, but they don’t always stop the overzealous police officer or social worker from interfering. Going against the grain: Once upon a time, neighborhood streets were filled with free range kids, children who stayed out until the street lamps came on, running up and down pavement and hooting and hollering. Today, this isn’t the norm, which makes being an exception to the rule more difficult. Increasing the risk: Free range parenting does increase the risk of something bad happening. While the vast majority of these “bad things” are minor injuries, it also increases the risk of actual dangers, like kidnapping. This requires vigilance on the part of the parents – they must coach, prepare, and thoroughly trust their child. Free range parenting isn’t for everyone, but neither is the opposite. Whatever works best for you is the answer. Ultimately, free range parenting provides kids with the freedom to be kids, but it also ups the odds of bad things happening. Then again, from walking down the stairs to leaving the house each morning, so does everything else.